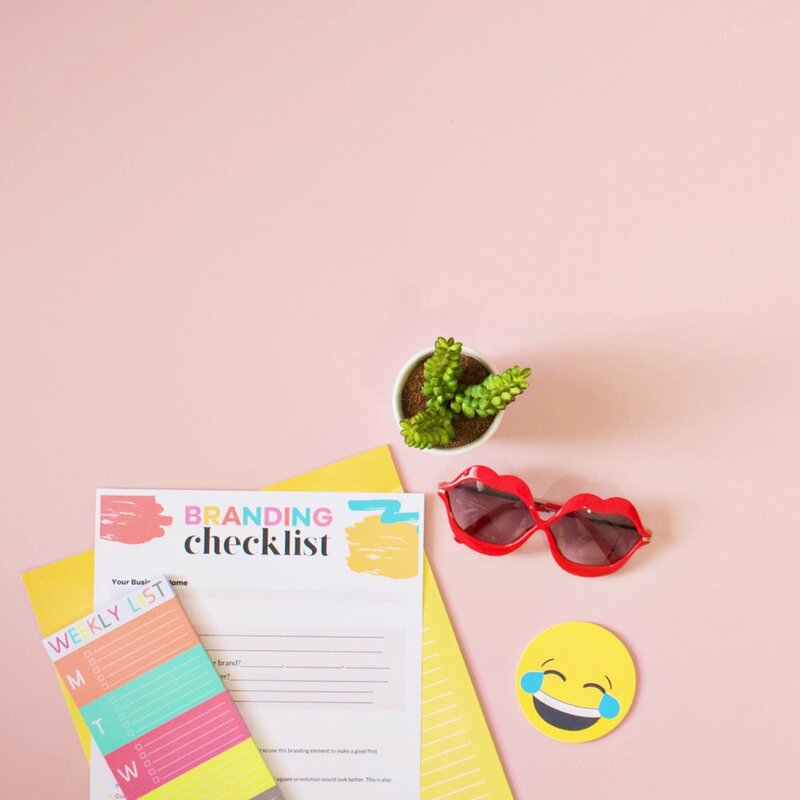 FREE printable checklist at the end of the post! You have big aspirations for your business, right? You want it to grow, to flourish, and make a profit. Focusing on those things early on in your business journey will set you up for success. But, the question then is how do you tackle it? Branding your biz is the the key to creating a sustainable business. And that's the goal, right? We don't just want a business that works for right now- nope, we want a business that works for now, and tomorrow, and next year, and 20 years from now. And, if you brand your biz with intention, you will allow it to grow with your business. If you want to learn more about what the french fries branding even is, check out this post over here. But, in general, branding is a collection of elements that work together in a cohesive way to tell a story about what your business stands for. And, really, branding is a psychological way to intrigue and persuade your ideal customers to buy from you. Things like your logo, color palette, and fonts are elements of your brand. But, before you can successfully brand your business, you have to do a little soul searching and ask yourself some deep questions. Branding Checklist: What is the "thing" you sell? Before you can start to construct your brand, you first have to know what direction you are going to go. Are you going to sell a physical product or are you going to offer a service? Then, go beyond that and niche it down. For instance, say you sell pretty coffee mugs. While you could create mugs for all sorts of people, not only would that be a lot of work on your part, but you would also be attracting too broad of an audience. Instead, narrow your scope and focus on one portion of that audience. Maybe create coffee mugs related to sports teams, or mugs with cutesy sayings for college students. Most importantly, you want your niche to be something that excites you and that you're passionate about. Branding Checklist: What is your message? After you've niched down, it tends to be easier to hold on to that passion for your business. So think about the "thing" you're selling and ask yourself why you want to sell it. Now, "I want to work from home" is not a sufficient why. Think deeper than that and really hone in on why you're passionate about your business and what you sell. If you find this harder to do than expected, hop over to this blog post where I give you a super simple formula to uncover your why. Once you have your why, create a mission statement from it. This will be something that will hold you accountable to your brand, and also lead you in creating a cohesive brand that sustains your business. Branding Checklist: What is the tone of your brand? From your why and your mission statement, you will then start to see a trend in voice for your brand. This is important in understanding your brands style/look and feel. Think about how you want your customers to view your brand and how you want them to feel when they land on your website or in your store. The easiest way to do this is to start listing tangible adjectives and descriptive words that relate to your why and your mission statement. Let's go back to the mug scenario. Let's say your why is that you are passionate about dog adoptions and you decide to use that as your inspiration behind dog related mugs. You can then start to list adjectives that describe your brand and your mission. Some descriptive words for that brand might be loving, loyal, energetic, fun, silly, etc, etc. These adjectives will then be used to guide you in creating brand elements that reflect those words. Branding Checklist: Who are you trying to reach? Now that you have a clear understanding of what you're going to sell and why, think about exactly who would purchase it. This person is what I call your dream client. Knowing exactly who your dream client is will create a clear pathway to them. Once you have your dream client in the forefront of your mind, not only it will be easy to market to them and sell to them, but you'll also know where to put your energy in your business. Taking the time to answer these questions will make creating your brand easier and more meaningful. Knowing the thoughts and feelings behind your business as well as your customers will make it simple to create a brand that will attract the right kind of people and hold true to your mission. Basically, it will create a solid base for you to build your business on, and it will provide you with something to refer back to when you create new elements for your brand. Knowing exactly what you're selling, why your selling it, and who will buy it is the key to a profitable business. And, sustainability is not only a possibility but a reality when you go through these steps. Let your answers fuel your brand's design! Now that you know the direction you're going to take your brand in, you can start to tackle the design part! 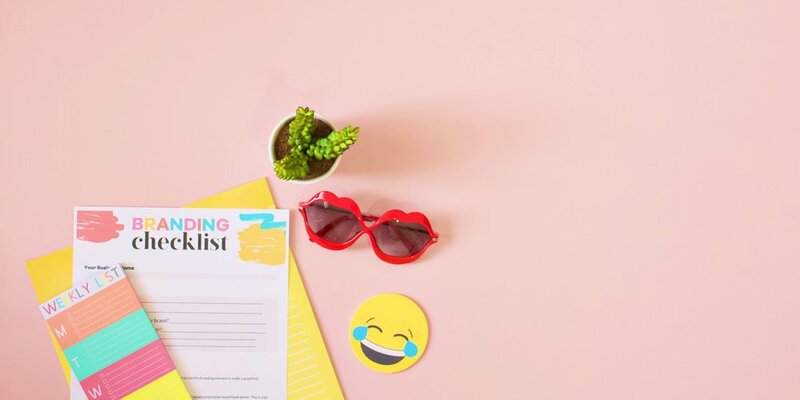 And if you're timid about creating your brand, I have created a handy checklist for you so you don't miss a thing! All in the spirit of creating a cohesive brand, babes!